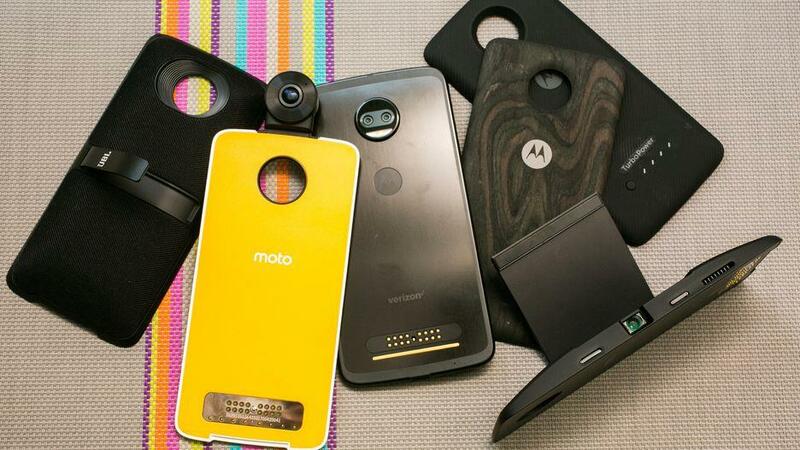 Lenovo controlled Motorola's year-old Moto Z platform and its Moto mods accessories have been attracting lots of eyes. With these interesting accessories, Motorola is the only company which is consistently aiming for a modular device, which hasn't worked quite well for LG's G5 which was launched back in 2016. 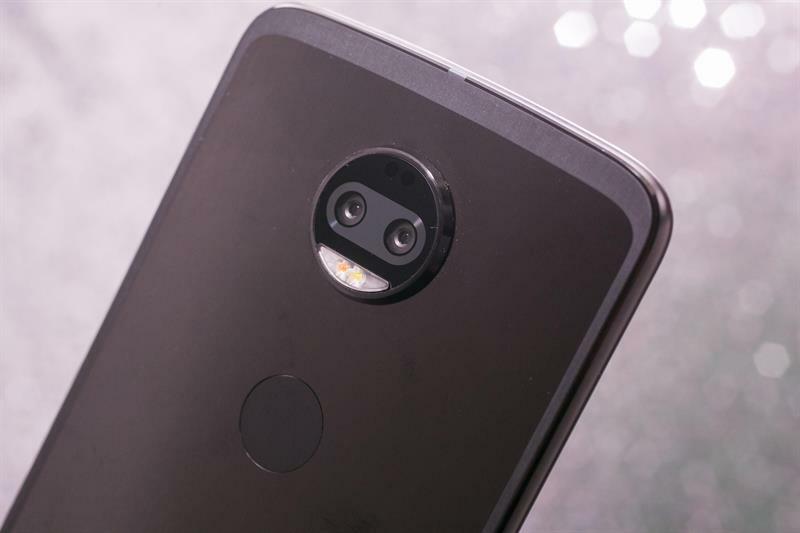 With the release of Moto Z2 Force, the company still offers a lot of features and promises to keep the customers satisfied. But is this the only smartphone in the market that offers a specific set of features at this price range? Well, you surely know that the answer is a big NO. There are always more than a dozen of smartphones that come under the same price range, which are eligible to be compared side by side. Well, today we are taking OnePlus 5T to be compared against Moto Z2 Force as they both fall under same price category and provide quite similar hardware specifications. With lots of features within OnePlus 5T such as the almost bezel-less 18:9 display, impressive face unlocks which is arguably faster than iPhone X, and a fantastic design that can easily impress anyone, OnePlus 5T seems to be accepting the challenge with Moto Z2 Force. So who do you think will win this battle? Moto Z2 Force or the OnePlus 5T? Let's quickly move down to the detailed comparison and find out the real flagship killer. Moto Z2 Force is the latest flagship device from the Lenovo controlled Motorola. Although it has been a while that Motorola had made the announcement of this device, it's been into the Indian market very recently. With the shatterproof display and Moto Mods, the company has made this device quite appealing so as to attract more eyes. Moto Mods, which has already made some audience with their previous devices, it gives the device some extended features including wireless charging, extra battery life, and added loudspeaker. In the design aspect, the Z2 Force comes with a unibody metal design that spreads out a durable frame along with a metal-finished back. With only 6.1 mm thickness the slim body of the Z2 Force is made of 7000 series aluminum, means more strength and more durable. The slim design when paired with a flat design made the device look more premium as well as weightless. Alongside the 5 MP camera on the front, there is a dual LED flash, proximity and ambient light sensors and a magnetic sensor otherwise known as the magnetometer for VR headsets. But there's no notification LED that can be a big problem for those who are really into it. Just below the beautifully spread out display, there is a fingerprint sensor that can be doubled as navigation keys when you turn off the on-screen buttons. Down at the bottom, the Z2 Force delivers a USB type C port which means that the company is totally tearing off the classic 3.5mm headphone jack just like many other top brands out there. Coming to the display, here the Moto Z2 Force sports a 5.5-inch QHD AMOLED P-OLED Shatter shield shatterproof display that delivers a high pixel density of 535 ppi which is comparatively more than what other typical smartphones out there delivers. The added shatterproof shatter shield helps the owners to save their phone from accidental drops and display crack. However, a point to be noted here is that the display isn't safe from scratches. Talking about the Moto Mods support, just like its predecessors, this device too comes with a magnetic pin that can help you attach the Moto Mods with ease. The added IP68 dust/water protection when paired with the shatterproof, the Moto Z2 Force is trying to be the best-rugged smartphone in the market. With these protections, you need not worry about accidental spills, splashes or evening dropping it from your height. Coming towards the real specs inside the Moto Z2 Force, it is powered by Octa-core Qualcomm Snapdragon 835 chipset that comes with ADRENO 540 GPU. The device also gives the buyers a choice between 64/128 Gigs of storage to choose from. The Moto Z2 Force comes packed with 6GB RAM and delivers a stock Android 8.0 Oreo experience. This device also supports the usual Moto app that offers several features such as one button navigation and much more. Coming to the field of the camera, it offers dual 12 MP camera with f/2.0 lenses and sensors of size 1.25 microns. The device delivers a dual LED flashlight with dual-tone along with a phase detection and laser autofocus which is quite rare in smartphones coming under this price range. Apart from delivering a regular 2160p video recording, the device is also capable of delivering slow-motion video @120 fps in 1080p and up to 240 fps in 720p resolution. On the front, the 5 MP selfie camera delivers f/2.2 aperture along with dual-tone dual-LED flashlight. Finally, when we talk about the main component that runs all the above hardware, Moto Z2 Force has a 2730 mAh battery underneath, which is comparatively less than what other smartphone brands are offering and its even lesser than the last year's Moto Z Force. The company might have come up with a decision in order to make the device more weightless and slim. However for all those battery-enthusiastic out there, apart from delivering a decent battery life, the device even supports fast charging with which you can get back the used juice in an hour or two. Moto Mods support delivers the Z2 Force with those extended features and among them, the most useful is the TurboPower Mod that brings you additional hours of battery life. They have excellent cameras, both the front and back cameras are fabulous in capturing images/selfies without losing details. First and most important flaw that is readily noticeable while using the device for a while is that the device will tend to get warm, especially when it is under load. Although shatterproof is a great feature that will protect your device from any fall, the device screen can easily get scratched. 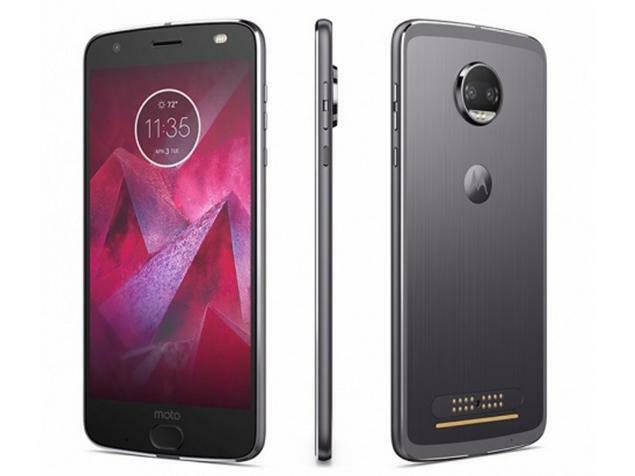 It is a good thing to see USB type C port that has a lot of advantages, however, sacrificing headphone jack cannot be tolerated and it is thus mentioned here as a mentionable con of Moto Z2 Force. 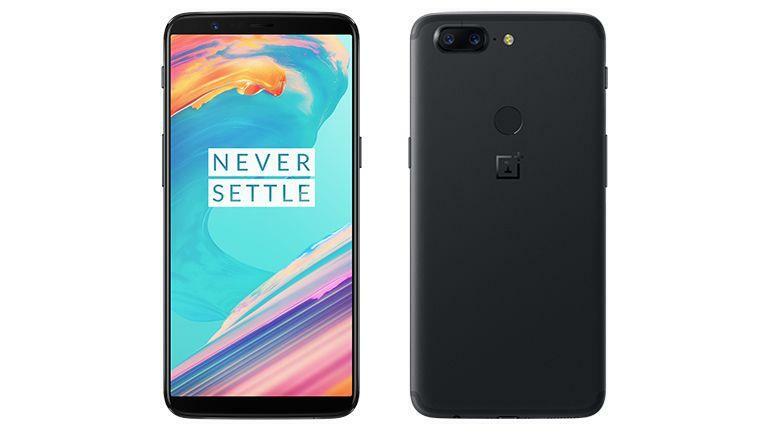 OnePlus 5T, a purely incremental improvement over the OnePlus 5. The company itself is taunting other brands by calling the device as 'the Flagship Killer'. And as they call them this name, they purely mean it as the device comes packed with all the hardware stuff to compete and defeat most of the high-end smartphones that are out there in the market. Talking about the build quality, the device comes with a great curved shape, nice clicky buttons, and a satisfying smooth body to glass transition. On the front, the 5T has changed its usual way of the Samsung-like home button that doubles as a fingerprint scanner and shifted the sensor to the rear. This big change in design made the device capable of delivering a 5.99-inch display with very fewer bezels around. 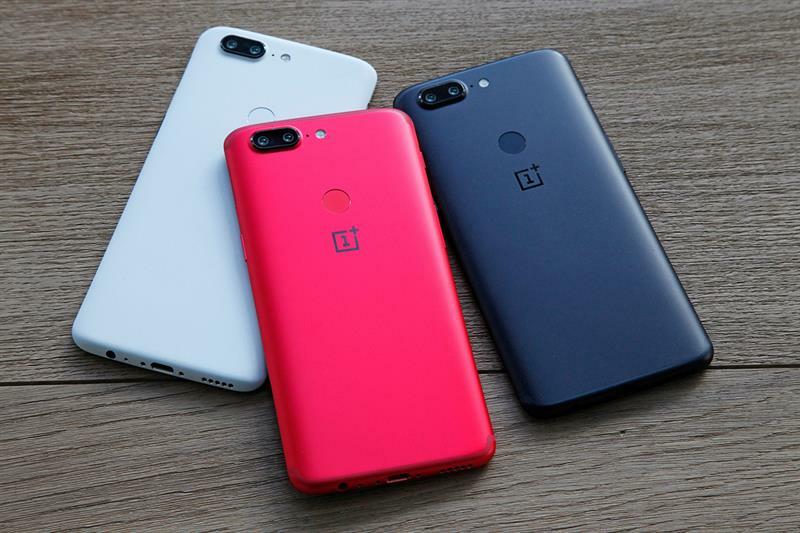 When most of the flagships are removing their 3.5 mm headphone jack for making the device much more simple and compact, OnePlus 5T has the advantage over them all having a USB type C port without compromising over the headphone jack. In the field of display, OnePlus has offered the 5T with a better display that perfectly matches the resolution as well as the aspect ratio that is delivered. With 2160 x1080 resolution and 18:9 aspect ratio, the OLED display of OnePlus 5T offers nearly 80% of screen-to-body ratio. 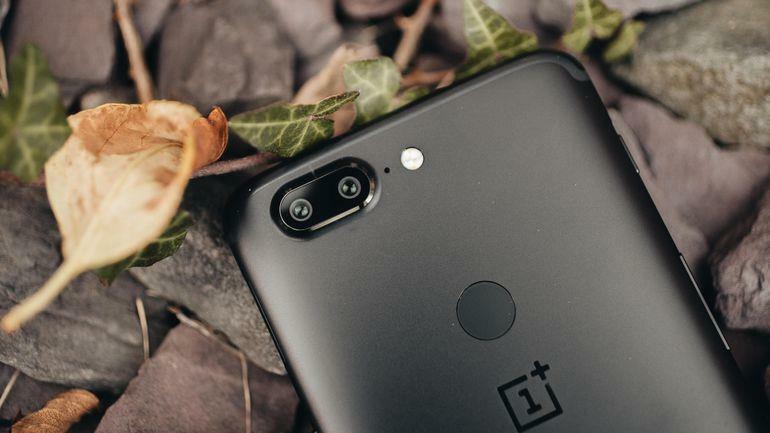 Apart from that, the OnePlus 5T also offers its users a Facial Unlock, which works just like that of iPhone X without 3D mapping, it is comparatively much faster than the iPhone X. When comparing the hardware of 5T with that of Z2 Force, they are quite similar on paper with the same processor and same GPU, however, since the performance also depends on a number of other factors such as the RAM, OS and also the UI on top. Here OnePlus 5 have a bigger hand as it offers multiple choice for a customer to choose from, either a 6GB or an 8GB variant. However as it doesn't offer support for a microSD card to expand your available storage, the user buying 6GB RAM variant have to stick with 64GB internal storage forever. But compared to the Z2 Force, 5T offers better battery life with it 3300 mAh battery along with dash charging. As for the camera, it is just like its predecessor, the OnePlus 5, offering slightly better options. However, with the absence of features like 480 fps in slo-mo, not well in capturing the depth of an image, the 5T is not the best camera on the market compared to other flagships out there. But, some added features like the Pro Mode, shooting in RAW, the ability to see an on-screen histogram etc. there are a couple of things that it does really well and it is for the same reason why the 5T is still the people's choice. Even its portrait mode is comparatively better than its competitors that come under the same price range. With fast shutter speed, acceptable image quality and a better secondary camera that's dedicated to low-light, the OnePlus 5T has the best camera on a smartphone at this price. We have a great Large, bright and clear display, and the 3300 mAh battery is good enough. They are providing the very useful software features and the device is very good performance. The quality of photos that taken in the daylight could be better. They not providing a weatherproofing or wireless charging. The Android 8.0 Oreo update will take months. Finally, it all depends on your personal preferences. If you want a phone with weatherproofing, wireless charging capabilities along with storage expandability up to 2TB, then your better go with Moto Z2 Force. And if your preference match with OnePlus 5T that delivers a better performance, lot more features, faster unlock, better design and better camera, then you're good to go with the OnePlus 5T. However, as far as I'm concerned, keeping apart the weatherproofing and storage expandability, the OnePlus 5T is the better flagship compared to the Moto Z2 Force.